Noise exposure is one of the leading causes of hearing loss. The most troubling thing about that is that it is the most preventable cause. 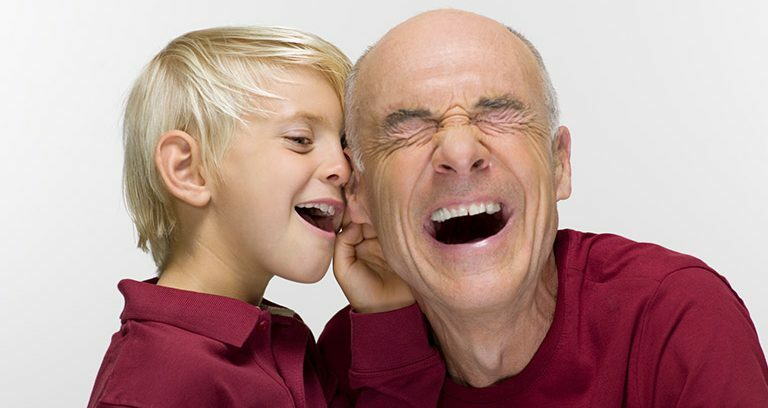 Hearing loss is prevalent in Canada, and according to Stats Can more than 1.2 million Canadians are currently experiencing hearing loss and that number grows every year. A person can be exposed to a 95 dB environment for no more than 2 hours before risking hearing damage. With 10 dB of protection that person can be exposed to 95 dB for 12 hours per day. The loudness, or intensity of sound, is measured in decibels (dB). Prolonged exposure to high levels of noise, at work or at play, can lead to permanent hearing loss. Using noise protection products, such as custom ear plugs, is an effective way of preventing Noise Induced Hearing Loss (NIHL). 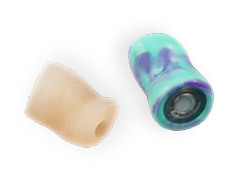 We offer a wide variety of hearing protection customized to your ear and colour preference. Is NRR (Noise Reduction Rating) an effective measure of the level of protection? NRR is a rating to describe the amount of noise that is blocked when using the hearing protective device while being used in ideal circumstances. It is measured in decibels (dB). Unfortunately, NRR may not be reliable in all cases as numerous studies have shown that as a measure of protection on its own, NRR may be a poor indicator of performance in real world settings. How well the protection fits in your ear plays a critical role in how well noise is actually reduced while being worn. NRR is computed from laboratory data in ideal situations, fit and proper use. This means it is not usually representative of the values attained in the real world by actual users. Custom ear plugs are more reliable than foam disposables because they maintain their density over a longer period of time. This chart shows safe and harmful levels of noise in many everyday activities. Which ear plug is right for me? 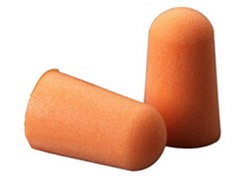 Disposable ear plugs are ideal for single time or occasional use. Occasional use is less than once per month. Because they are usually made of foam, the foam starts to shrink once it’s in the ear and will continue to compress during wear; so it’s not a tight seal to block noise for very long and means the NRR rating is constantly dropping after putting it in the ear. Custom fit ear plugs are ideal for people who are exposed to noise above 85 dB on an occasional to regular basis. Because they are moulded to the wearer’s ear, they fit tightly which provides better quality, more consistent noise protection than disposable plugs and are also more comfortable. With proper care over the 5+ year lifetime of custom ear plugs, the average daily use cost is actually less expensive than the daily cost of using disposable foam plugs and are far more comfortable. Electronic ear plugs are “active” hearing protective devices. Electronic plugs use electronic circuitry to block unsafe sound levels while still allowing safe sound levels to come through the device. They are designed for those who want to maintain natural hearing while protecting their ears from impulse and continuous loud noises like gunfire, explosions, loud vehicles, and machinery. 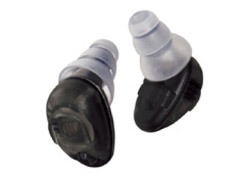 Electronic ear plugs are available with a custom ear piece or a ready-fit dome ear piece made of silicone. The ready-fit ear plugs are designed to fit most ears as they include a few sizes.